Wind turbines are increasingly sited in harsh environments, and manufacturers and operators are faced with trying to reduce operating and maintenance costs while improving machine availability. SKF is making its contribution to improving turbine performance through its proprietary black oxidation process, which provides extra protection to bearings used in key components in this challenging industry. Wind turbines are subject to widely varying temperatures, speeds and loads. This, combined with contamination, moisture and chemical effects due to highly AW doped oils, means these conditions can sometimes considerably shorten the bearing life cycle, if no preventive measures are taken. Also, as wind turbines have increased in size and generating power, further demands are placed on key systems such as the gearbox. The black oxidation process used by SKF offers enhanced protection against damage to bearing components, particularly for the challenging operating conditions created by a shift from onshore to offshore installations and for those constructions sited in increasingly harsh environments around the world. While damage and failure rates of wind turbine gearboxes may vary according to the source of published data, a benchmark has been reported by the EU-funded Reliawind study, which came out around 6 % per year. That study also quoted publicly available data on the failure rate and downtime from large reliability surveys performed by Landwirtschafts­kammer in Schleswig-Holstein, Germany, and the Wissenschaft­liches Mess- und Evaluierungsprogramm of the Fraunhofer Institute in Kassel, Germany, and noted failure rates of around 10 %. While these figures may be considered low when compared with other causes of breakdowns in the field, such as electrical systems, the consequence of that failure can be heavy; damage and failures in mechanical drive trains can result in high costs due to long downtimes. As an example, a bearing failing on a high-speed shaft of an onshore turbine can incur repair costs in the region of several thousands of euros, assuming it is exchanged up-tower. However, if a planet bearing fails, then the whole gearbox needs to be replaced, and the cost can easily exceed hundreds of thousands of euros when all costs are factored in. 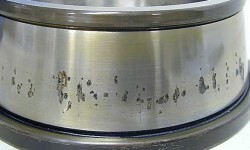 The types of damage that can be alleviated by the addition of a black oxide treatment to bearing components such as the rings and rollers generally fall into categories such as cracks, sliding (smearing) and surface distress, as well as environmental effects, such as moisture and chemical attack. Many premature wind gearbox bearing damages result in a failure mode that does not follow classical rolling contact fatigue (RCF) mechanisms. 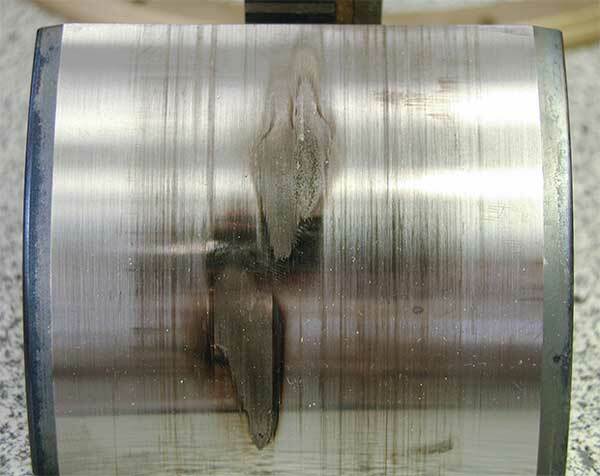 These classical mechanisms are subsurface initiated fatigue as well as surface initiated fatigue and can be predicted by standard bearing-life calculation methods, whereas premature white etching crack (WEC) failures experienced in wind turbine bearings are not covered (fig. 1a). 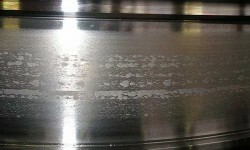 WEC refers to the appearance of the altered steel microstructure when polishing and etching a microsection. Failures can be found at several bearing locations, namely the planet bearings, intermediate shaft and high-speed shaft bearings. The occurrence of premature failures due to WEC is widely discussed within the wind industry and is being independently investigated by wind turbine ­manufacturers, gearbox manufacturers and bearing suppliers as well as universities and independent institutes. Current hypotheses are focused on either hydrogen-enhanced WEC developments or purely load/stress-related WEC developments, preferably at inclusions as well as at the surface, or combinations of these. In lightly loaded roller bearings, pure sliding between rolling elem­ents and inner ring can occur when there is a large mismatch between the inner ring and roller set rotational speed. For demanding applications such as wind gearbox high-speed shafts, idling conditions and changing of load zones can sometimes lead to high sliding risk. In radially loaded roller bearings, the most critical zone where sliding can occur is the entrance of the rollers into the load zone. 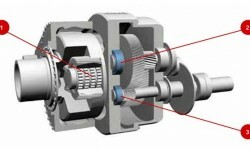 While rotating, the rollers slow down in the unload zone of the bearing because of friction and subsequently have to be suddenly accelerated as they re-enter the load zone. Resultant conditions can cause smearing (fig. 1b). The microstructure of rollers and raceways is altered, and this results in local stresses that ultimately cause spalling and bearing failure. 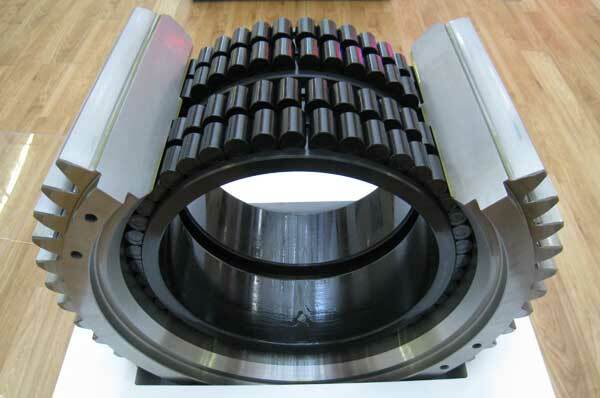 Full complement cylindrical roller bearings do not always have a separating lubricant film built up between the contacting rollers due to opposing surface speed. 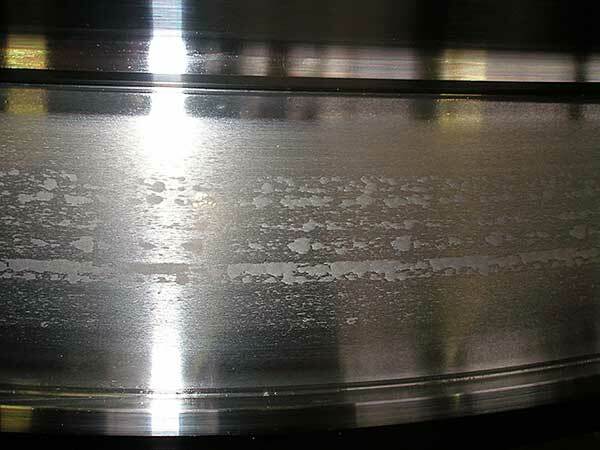 Thin film or even mixed lubrication under high roller-to-roller contact pressures leads to metallic contact between neighbouring rollers, and this then increases friction, which consequently can lead to smearing and surface destruction. 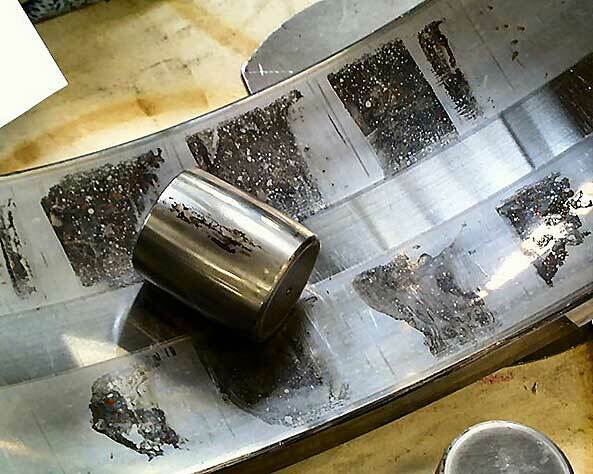 Many machine elements having rolling and sliding contacts (e.g., rolling bearings, gears and cam-followers) can sometimes suffer from various types of damage. Amongst these are mild abrasive wear and microspalling. 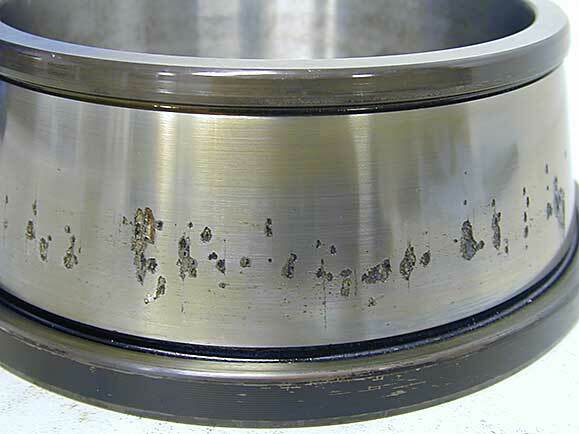 Surface distress or microspalling occurs because of an insufficient oil film to separate the moving contacts; it is a form of localized surface ­damage that occurs on both gear teeth and in bearings and is a common phenomenon found in wind turbine gearboxes. 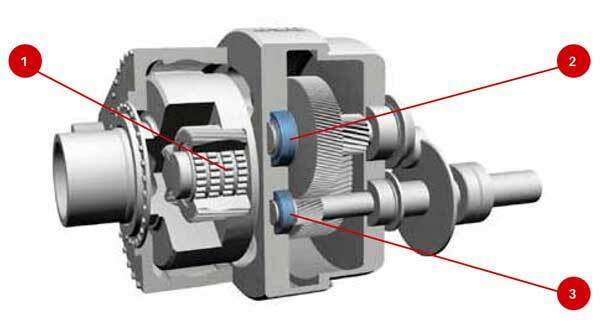 Gear teeth are usually more affected than bearings. 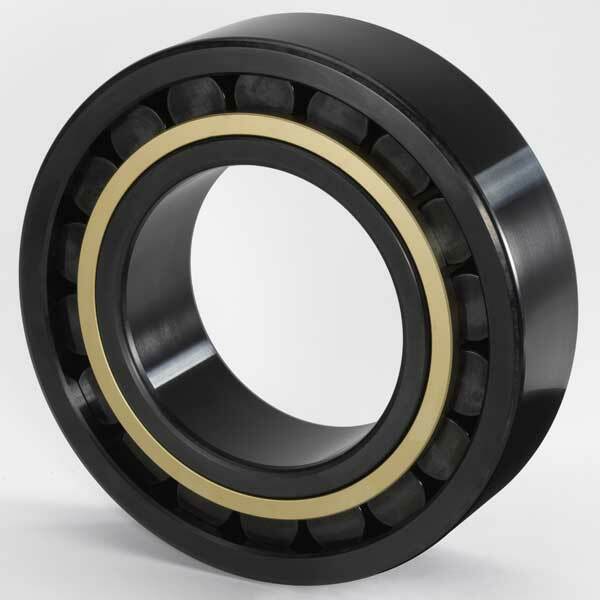 Nevertheless, if it happens to bearings, it can be particularly detrimental to the bearing function. It alters the geometry of rollers and raceways, increasing internal clearance and resulting in local stresses that ultim­ately cause spalling and bearing failure (fig. 1c). Contamination by water in wind turbine gearboxes could also be a contributing factor. The water content of wind gearbox oils is often underestimated. 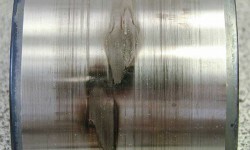 The large temperature gradients in combination with highly saturated water content (depending on oil type) can lead to the risk of “free water” and standstill corrosion (fig. 1d). 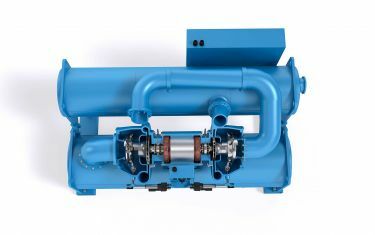 Whereas the high risk to the application by free water is well known, the risk of different levels of dissolved water in gearbox oil is still unclear. SKF investigations indicate a negative impact on bearing performance whenever a certain amount of dissolved water is present. When the bearing shaft interface (inner ring bore – shaft seat) or the bearing housing interface (outer ring outside surface – housing seat) are subjected to micro movements under varying loading conditions, the native oxide on the steel surfaces can be removed. 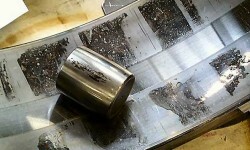 Furthermore, surface asperities can corrode and are torn off. 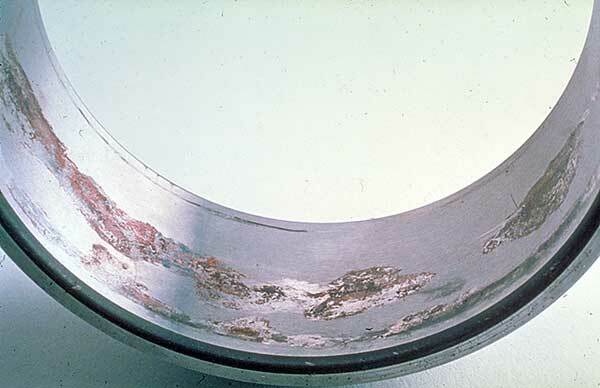 These particles become trapped in the contact, and if oxidizing agents such as moisture are also present, further corrosion happens at the surface (fig. 1e) . Under load, the trapped air and moisture corrode the surface further and can lead sometimes to further particle generation. These particles will act as grinding paste resulting in further loss in interference and increased ring creep, or in the worst case (if corrosion particles remain trapped at the seat) to ring through cracking by increased and too high local stress. 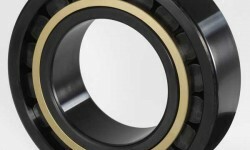 For all these potential failure modes, applying a specially designed black oxide coating on the bearing functional surfaces provides a significant degree of protection. 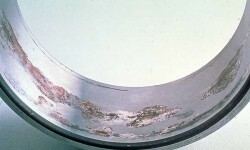 This layer adds beneficial properties to the bearing oper­ation, such as an improved running-in phase, and results in equally improved surface properties after running-in, better performance under poor lubrication regimes (low κ conditions) and better lubricant adhesion, as well as enhanced smearing resistance. The risk of fretting, microspalling and crack formation can be reduced. Furthermore, the black oxide layer offers an elementary corrosion resistance as well as an enhanced chemical resistance when compared with untreated surfaces. The moderate corrosion resistance of black oxide is sufficient to suppress standstill corrosion and fretting corrosion, and the chemical resistance redu­ces detrimental effects from aggressive oil ingredients. It improves friction behaviour and reduces wear, particularly under mixed lubrication conditions. Recent R&D results indicate that black oxide acts as a barrier to hydrogen permeation into the steel. To give a comparison of the potential improvement in failure rates, a wind gearbox manufacturer has reported, in a sample of 1,000 standard cylindrical roller bearings in a gearbox application, a failure rate ranging from 40 % to 70 % (after two years). 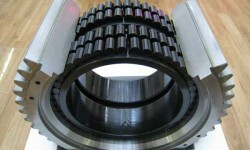 Subsequently, in a sample of 1,150 black oxidized cylindrical roller bearings for a similar application, the failure rate was 0.1 % over the same period2. decrease of fretting corrosion risk in the fits. With more than 50,000 black oxide-coated bearings in the field, SKF has accumulated a wealth of evidence that this cost-effective process can deliver appreciable performance improvements for the wind energy industry that can result in fewer early failures and hence contribute to lower overall O&M costs. Black oxide is a surface treatment that is formed by a chemical reaction at the surface layer of the bearing steel and is produced when parts are immersed in an alkaline aqueous salt solution operating at a temperature of approximately 150 °C. The reaction between the iron of the ferrous alloy and the reagents produces an oxide layer on the outer surface of bearing components consisting of a well-defined blend of FeO, Fe2O3, resulting in Fe3O4. The result is a dark black surface layer of approximately 1–2 μm in thickness. The benefits of black oxide have to be judged for the individual application, but no detrimental effects of this treatment are known at this time. It has been successfully applied to bearings in other industries with particular operational challenges, such as paper machine rolls, machine tools and industrial fans. The black oxidation process involves a wide variety of parameters. The total process consists of about 15 different immersion steps; in many of these it is possible to vary chemical content, concentration, temperature, immersion time and fluid behaviour within the tanks. 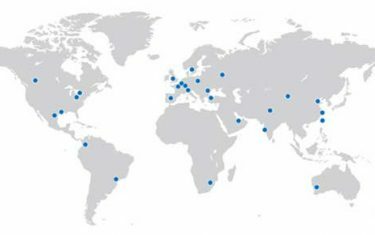 SKF has performed extensive research on this process since 2006 to define optimized treatment specifications for the black oxide process, also extending it to the treatment of large bearings. 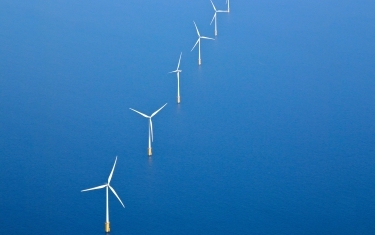 The black oxidation processes from SKF are designed and individually tailored for each bearing type and application to provide maximum performance and can deal with a broad range of bearing sizes used in wind turbines currently up to 2.2 m outside diameter, with the weight of individual bearing components up to 1,000 kg. The treatment method as well as the size and weight range is proprietary to SKF. SKF recommends that both inner and outer rings as well as the rolling elements are coated for the best performance. The black oxide can be applied to all bearing types used in key wind turbine systems. Cylindrical and tapered roller bearings in particular have been successfully treated and put into operation in recent years (figs. 2 and 3). The black oxide treatment process used by SKF is carefully specified and precisely monitored, producing high-quality bearings that can be accessed through the company’s global network, making the benefits of black oxide bearings available to wind turbine manufacturers, end users and service providers worldwide. d) moisture/standstill corrosion on a raceway. e) fretting corrosion in the bore of an inner ring. 1. For a new turbine, O&M costs may easily make up 20–25 % of the total levelized cost per kWh produced over the lifetime of the turbine. If the turbine is fairly new, the share may be only 10–15 %, but this may increase to at least 20–35 % by the end of the turbine’s lifetime. Figures from Wind Energy – The Facts (WindFacts), a European project financed by the Intelligent Energy, Europe programme of the Executive Agency for Competitiveness and Innovation. 2. J.Luyckx, Hammering Wear Impact Fatigue Hypothesis WEC/irWEA failure mode on roller bearings, NREL workshop, Broomfield, Colorado, USA, November 2011.